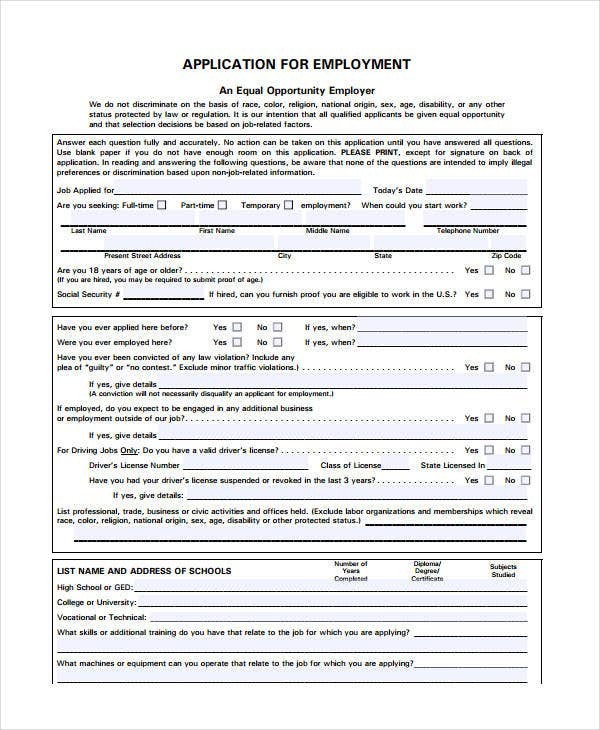 The employment application is step 1 in any job hunt and hiring process, and like most first steps, it has to be done well to ensure the best chances of success.If you are involved in the HR department of your company, you will usually need to create your own employment applications for every candidate to fill out. 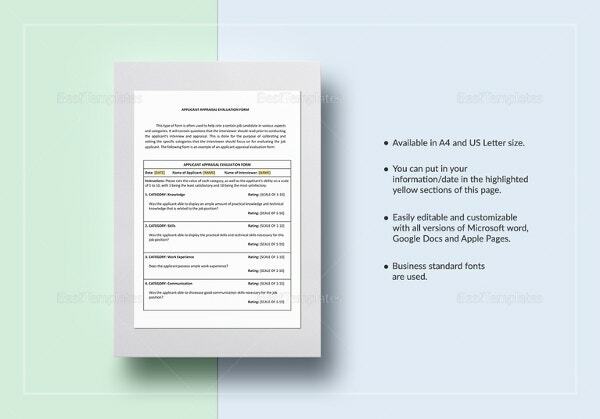 Using only the most convenient and practical application templates to screen your applicants can be a major lifesaver in terms of drafting costs, time, energy, and resources. 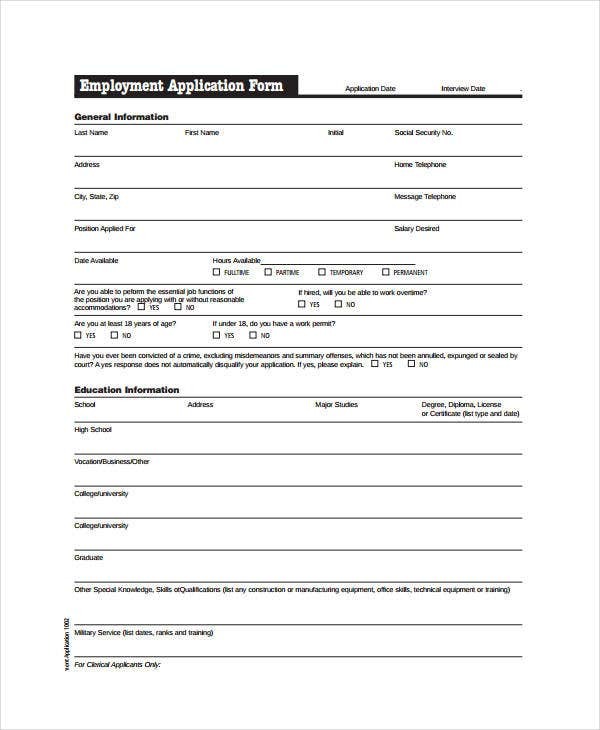 Check out this list of generic employment application templates that can be downloaded as free PDFs and adapted to your needs. overview of education and work history. That’s basically it. What you add to that should be relevant to the job, or you will be wasting time and resources. 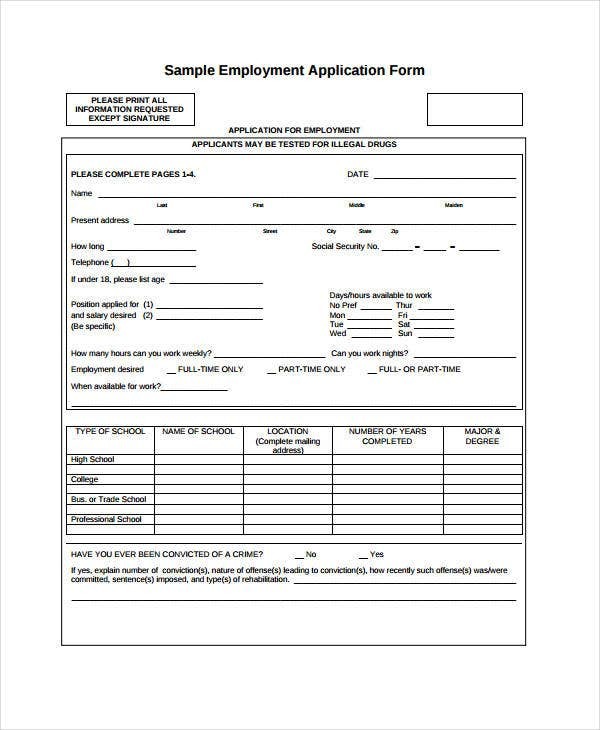 For example, you do not need to know about the applicant’s driving license if it is not a driving job (see Free Generic Employment Application). 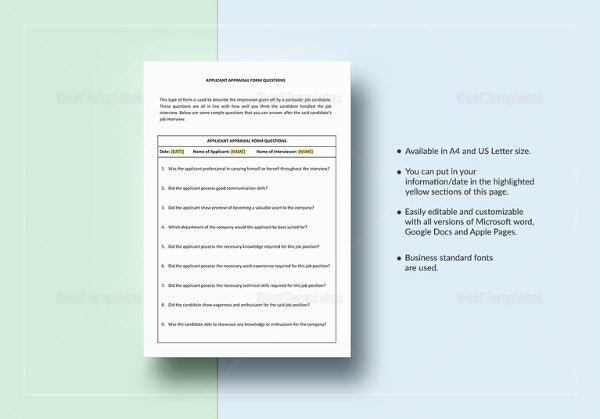 formatted well for ease of use and understanding. Some level of design is key. 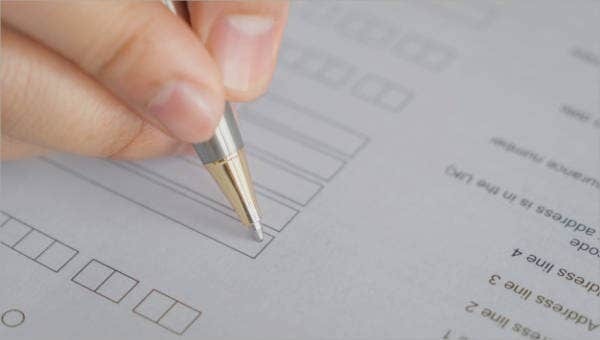 This means choosing a clean and easy format to make filling in information and reviewing it easier for everyone involved. 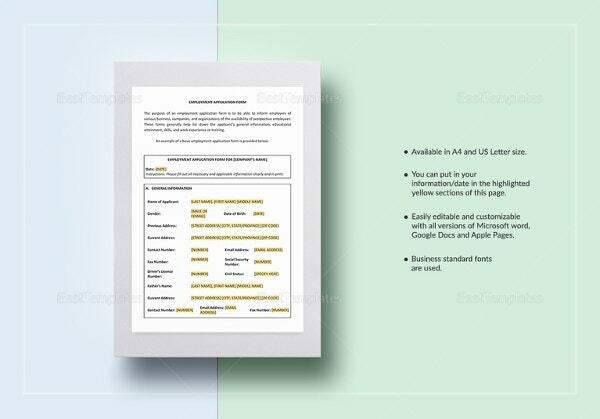 All these free templates are designed in the layout of a generic Employment Application Template. They will vary in complexity and scope that you can tailor to fit your specific company needs. With a little modification, any of them will be your best one-size-fits-all option to accomplish all requirements in one go. 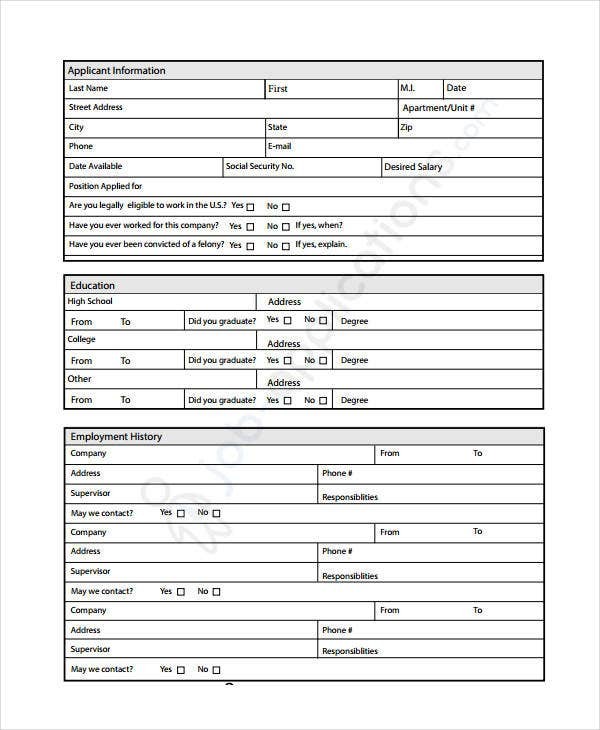 The Generic Student Employment Application is like any of the other applications but also includes helpful sections that make sure that people under the age of 18 applying for the job are authorized to work and meet certain qualifications by state law. 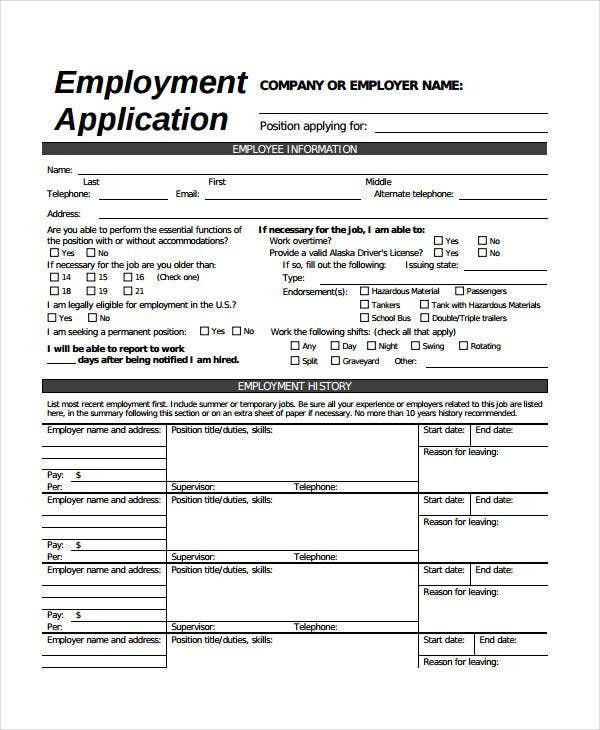 This will work well for those organizations and companies that make use of student part-timers or routinely hire teenagers for summer jobs. 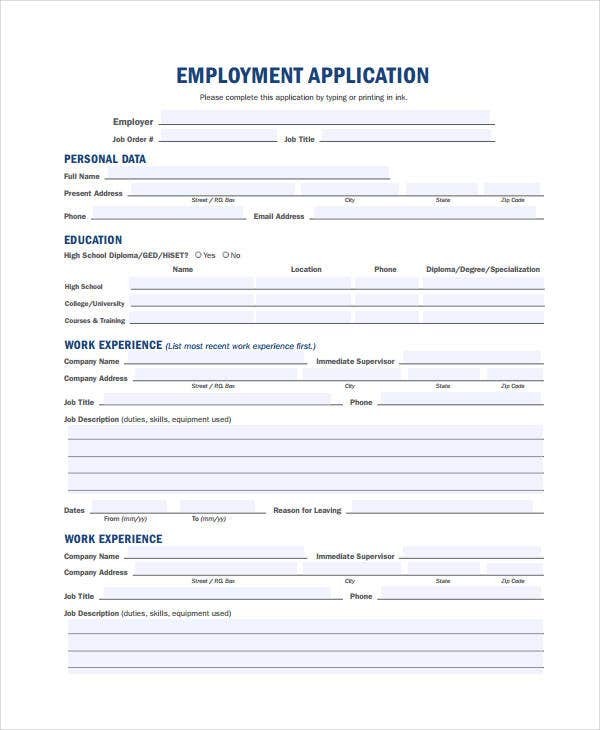 This is also necessary for certain jobs that require applicants to be above a certain age to qualify. 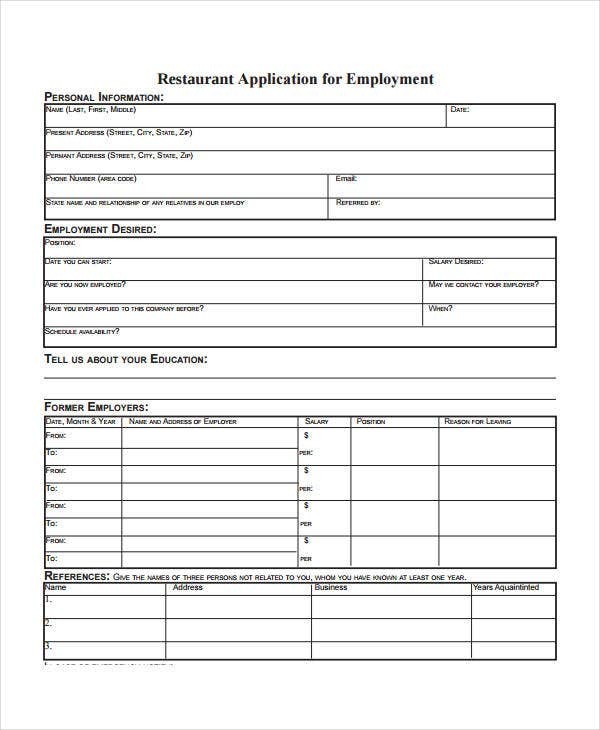 For internships, it would be better to go with an Internship Application Template.